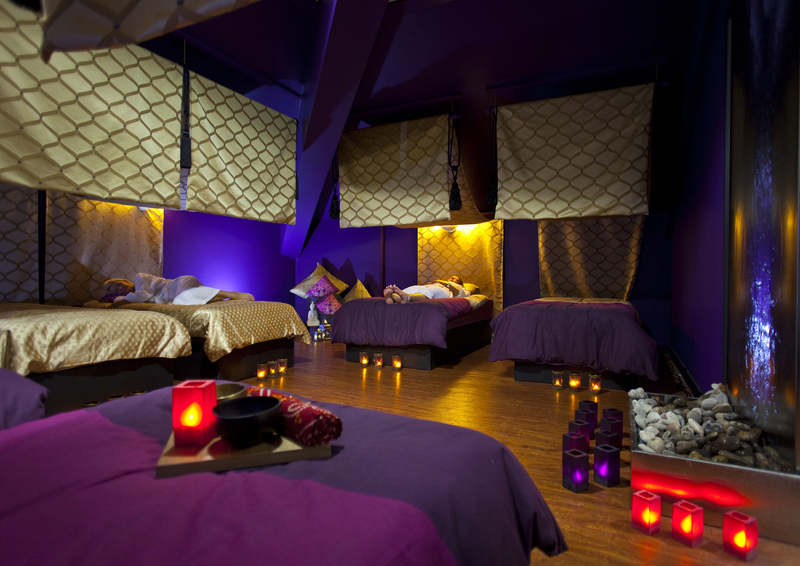 So you’re booking a Spa Day and someone suggests a Temple Spa Champagne and Truffles Facial, what’s a girl to do? I love facials anyway but plonk the words champagne and truffles in the same sentence and it sounds as near perfect as you can get – or is that just me? 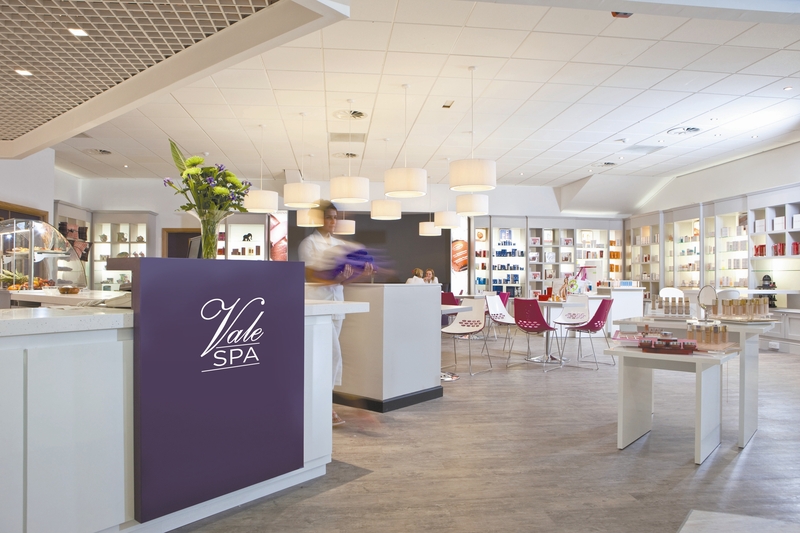 Mr. C and I love treating ourselves a couple of times a year to a spa visit and yesterday’s Spa Day at the Vale Resort just up the road from our house in Cardiff was one of the best in a long time. A healthy bite to eat in the vibrant Chai Cafe before we went in was a lovely added bonus – perhaps next time we’ll go for the more decadent afternoon tea. The Vale Resort Spa is one of my favourite spas for many reasons, not least of which is proximity to my house so no stress getting there. Once you’ve changed and are in through the doors, its as if you’re in a different world. So calm and tranquil, so peaceful and relaxing. We went straight for the water beds only to find there were a couple of selfish women gassing about everything and nothing. No attempt to speak in hushed tones, no sense of spa-tiquette whatsoever. There’s always one isn’t there? Those water beds in the Float Zone though are to-die-for. It’s like being cradled in the comfiest mattress ever! We’re big fans of the Slumber and the Chromatherapy Zones too. In fact any zones that give us the chance to just lie there, take stock, relax and with a bit of luck snooze. Maria who gave me my treatment was lovely. She sat with me first to go through the difference steps of the Temple Spa Champagne and Truffles Deluxe Treatment and then off we went. This was a longer facial than the other facials I’ve had previously in The Vale Spa. In fact it wasn’t far off one and a half hours. I was surprised that I didn’t fall asleep like I usually do – sleep or no sleep though, I was about as relaxed as you can get without dozing off. Before the facial started I was treated to a short Hot Stone Massage which did wonders for the painful neck and shoulder condition I’ve had for some weeks now. I’ve always been a little sceptical of the whole hot/cold stone massage thing but hey, what did I know?! Whatever it is that ‘Maria with the magic hands’ did, it worked a treat. The warm alginate mask which was on my face was followed with some cold stone therapy to ‘strengthen muscle tone’ apparently. It felt pretty amazing when she was doing it and afterwards I was very aware that my lines and wrinkles were well and truly plumped-out. Ok so I didn’t leave looking like Cara Delavigne, (I’m 54 after all) but I left glowing, feeling wonderful, floating on Cloud Nine and with the softest skin imaginable! Will I go back? 100% yes. It’s one of the best spas I’ve ever been to as I said above and I was so impressed with the Temple Spa products that I even bought the set above to use myself at home in keeping with Temple Spa’s motto of a ‘spa wherever you are’! The treatment begins with a gentle hot stone back massage followed by a warm melting mask to help iron out wrinkles and a luxurious lifting massage to strengthen, tone and reduce puffiness. 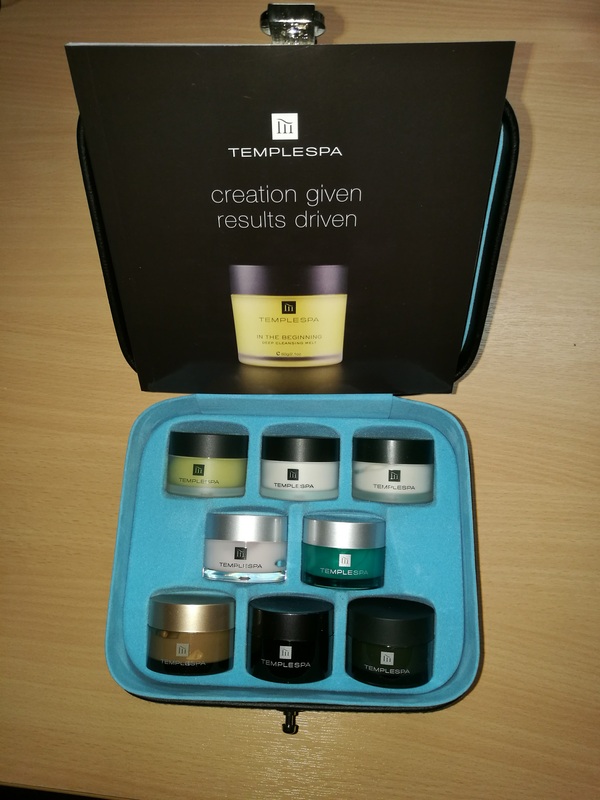 Finally, an application of Temple Spa award winning cult product Skin Truffle and the results will leave you looking radiant, more youthful and instantly wonderful.